Full set of 27 skeins of lovely Cosmo threads for the Hearts & Happy Flowers BOM quilt from Leanne's House. 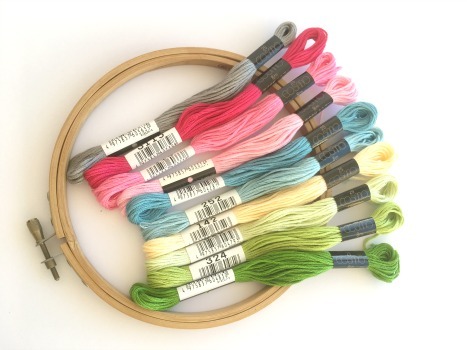 Each skein contains 8 yards of 6 strand embroidery floss which is manufactured from high quality colour fast cotton. A starter pack of one each of the ten threads used in the design is also available.